With grad school finally wrapping up next week, it’s been hard the past few weeks (months!) to enjoy any downtime and read for fun. Luckily, the book I’m reading is mostly images! 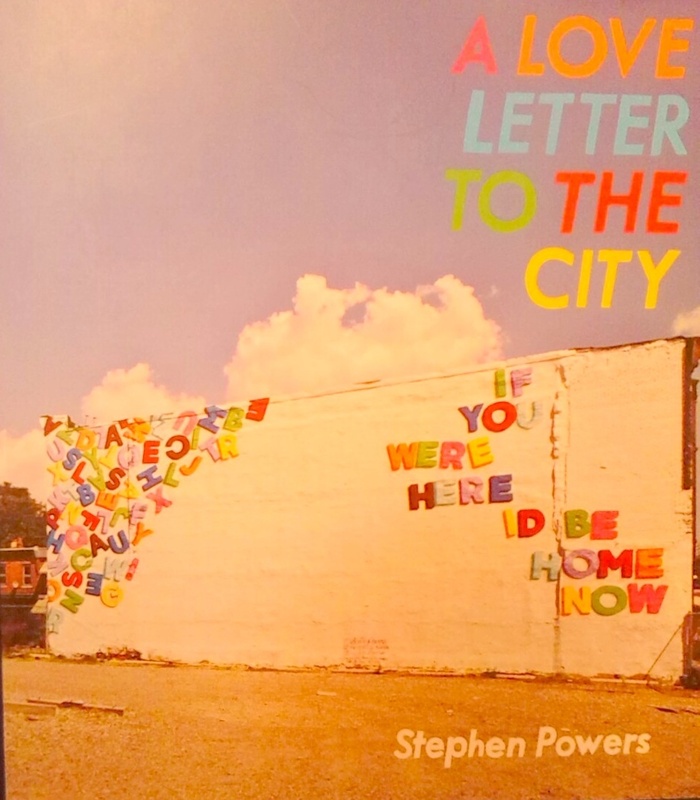 A Love Letter to the City by Stephen Powers captures a graffiti artist turned street artist’s work in cities around the world such as New York (of course! 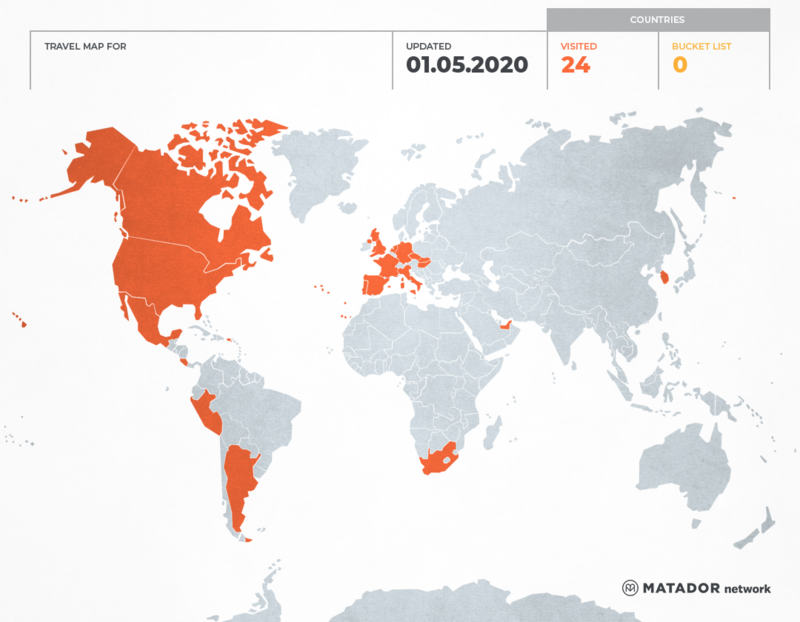 ), Philadelphia, Sao Paolo, and Dublin. For a look at the nuances and differences between graffiti and street art, check out Project Bronx’s latest video on the topic. Powers went from tagging his name by the elevated trains in Philadelphia to working with business owners and community organizations to create breathtakingly vibrant works of art that spoke to the community. In a great line from the introduction, Powers says “For all its [graffiti’s] efforts to communicate, most people don’t understand it, and if people don’t understand, they don’t take ownership, and your name gets taken down like a campaign poster in December.” This really struck me particularly after what happened to 5Ptz.I can’t claim that I spent a lot of time there, but when they took everything down, I felt it and I didn’t even have any art up there! I can’t imagine how the artists, especially those from around the world, felt. The photographs of Powers’ work run alongside interviews with some of his colleagues and partners who helped him with the projects and wonderful anecdotes of the background stories behind the artwork and his travels. What I like best about Powers’ work besides it brightness and the curvy shapes of the letters, are the kitschy, sweet messages themselves. Phrases like – ” I Paid the Light Bill Just to See Your Face” (Syracuse) and “All I Need is You and New Shoes” (Brooklyn) stand boldly emblazoned on various surfaces – billboards, bridges, walls, buildings, the list goes on. Though the Bronx is sadly not featured, our borough’s rich history of graffiti and street art and our constant exposure and familiarity make this book a fascinating read. I’ve always wanted to tag along with some graffiti artists and watch them at work and this is the next best thing. It’s amazing to see how much thought, preparation, time, effort, and planning went into all of the works featured and hearing it from Powers himself, makes everything more personal. TWO LUCKY READERS WILL WIN A COPY OF A LOVE LETER TO THE CITY AND A SET OF 12 NOTECARDS WITH PRINTS OF POWERS’ WORK ON THEM. ‘LIKE’ THE BRONX SOCIALITE FACEBOOK PAGE & COMMENT ON THIS POST WITH YOUR NAME. ‘FOLLOW’ THE BRONX SOCIALITE ON INSTAGRAM & COMMENT ON THIS POST WITH YOUR NAME. Disclaimer: The wonderful people at Princeton Architectural Press sent me this book to review and giveaway. I was not paid for this review and all of the opinions are, of course, my own.